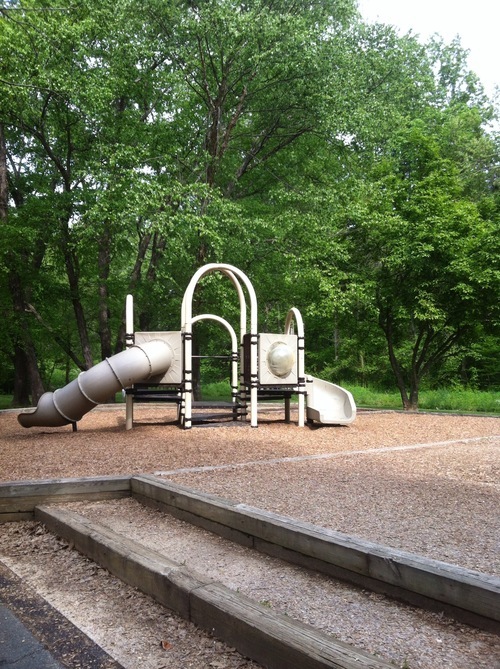 Thanks to photographer Marla Anson for sharing her thoughts on Cloverdale Park with us! I would add that the last few times I’ve been to Cloverdale there’s been some trash issues, but it is a a large, open park, great for group events, and there are also some baseball and football fields to the opposite side of the parking lot! 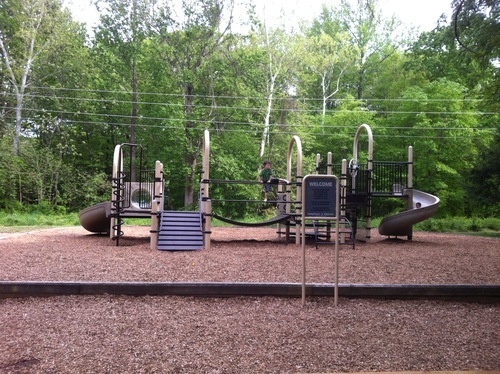 The kids and I have started going to the playground in Cloverdale Park. I took these pictures on Tuesday during our second visit there. One of the homeschool groups I joined meets there every Friday afternoon and I learned a nifty little tip from them. There is a port-a-potty there that gets cleaned on Friday mornings. There are also several pavilions, one of which does have restrooms, but sometimes the port-a-potty is a cleaner option. To reserve the pavilions, just get in contact with the folks over at Veterans Park. 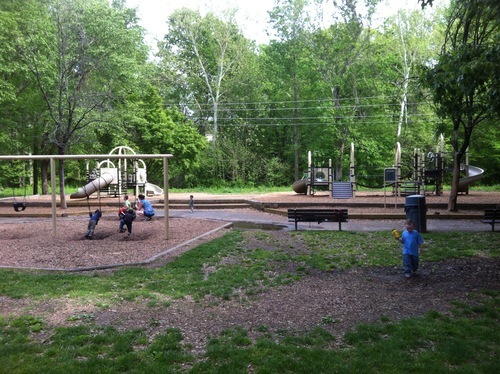 In addition to the playground and pavilions, there are soccer fields and and baseball fields. One thing that I really like about this park is all of the trees. There’s always a shady spot to be in, which will be nice come Summer time. 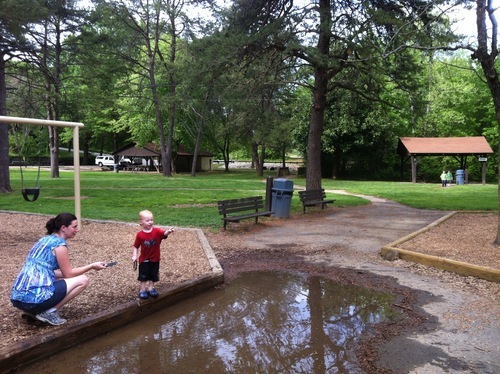 However, if you’re squeamish about kids playing in mud puddles, try to avoid this park on days after it has rained. 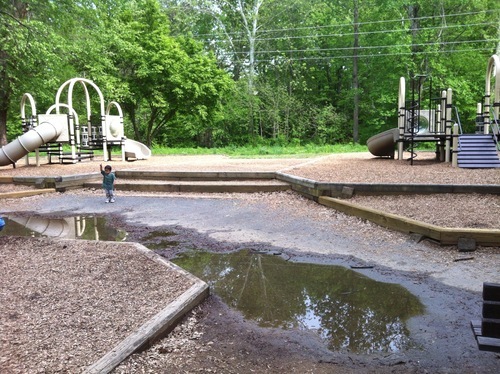 My kids had a LOT of fun playing in the mud puddles on Tuesday, but it sort of nixed my plans to go grocery shopping afterwards. Hi! I’m Marla Anson, The Reluctant Mommy Blogger. Why reluctant? Well, I never wanted to be a mommy blogger. In fact I was trying to avoid becoming one. 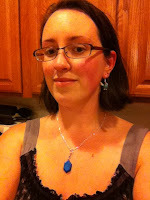 I felt that by blogging about my children I would be exploiting them. My plan was to occasionally write about them here and there, and focus mostly on photography. Well, since I do stay home with them AND we will soon enter the world of homeschooling, I found that more and more of my writing here has been dedicated to them. In essence, I had become the very thing I didn’t want to become. A Mommy Blogger!In addition to being a mom, wife and good daughter, I am also a group leader for my local area mommies group. Check out this link to read and learn all about the Joy Troupe! Are you interested in becoming a member of the Woodbridge, VA sub-group of the Joy Troupe, click here. We are a great bunch of mommies who open our hearts and doors to each other and anyone (daddy, auntie, nanny, baby-sitter, etc.) who plays an important role in a child’s life.